So many shopaholics choose to rent apartments in London for their getaway, purely so they can take advantage of the amazing shopping that the UK’s capital has to offer. There is so much to choose from so allow us to take you through a few of the hotspots. 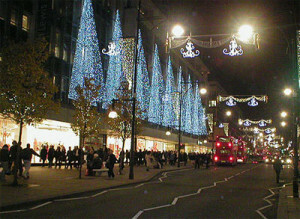 Perhaps the most famous area for shopping, Oxford Street is home to the iconic Selfridges, a vast John Lewis (extremely British!) and a massive House of Fraser, amongst many others. Apart from these incredible department stores, some of the most popular stores in Europe have gigantic shops on Oxford Street including Primark, Topshop, H&M, HMV and Zara. Let’s zone in on Selfridges, for here alone you can probably find everything you’re looking for. The second-largest department store in the UK (the first being Harrods – see further on for more details) was opened way back in 1909. Featuring departments for men, women, beauty, kids, food and wine, gifts and home and leisure (amongst others! ), the store is heaving with tempting goods for any occasion. Being probably the busiest department store in the country, Selfridges is rarely quiet. It’s best to acquaint yourself with the layout of the store as best you can before you dive in. It’s quite the rabbit warren once you get inside! Perhaps the most upmarket department store in the country, Harrods is located in the exclusive area of Kensington and Chelsea, on Brompton Road. The store takes up a staggering 5 acres and contains more than 330 departments. The motto of the store is All Things for All People, Everywhere and is something they clearly take very seriously! The food hall and the seasonal Christmas department are both world famous and the store is recognised all over the globe as the place to shop for London’s elite. 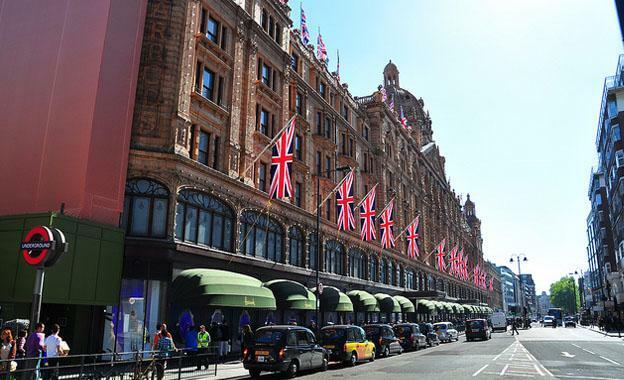 There are 32 restaurants within the walls of Harrods serving everything from high tea to ‘pub grub’ and even a special personal shopping department known as ‘By Appointment’. So you can send someone on your errands while you head off to dine – if you have the money to spare! Harrods has upheld its famous dress code since 1989 and has been known to turn away many customers over the years who they feel are not befitting of the standards Harrods is famous for. So don’t wear your ripped jeans! A visit to Harrods is simply a must while you’re in London and the experience will stay with you for years. If you’re after a proper mall, you could do worse than the Westfield Centre. 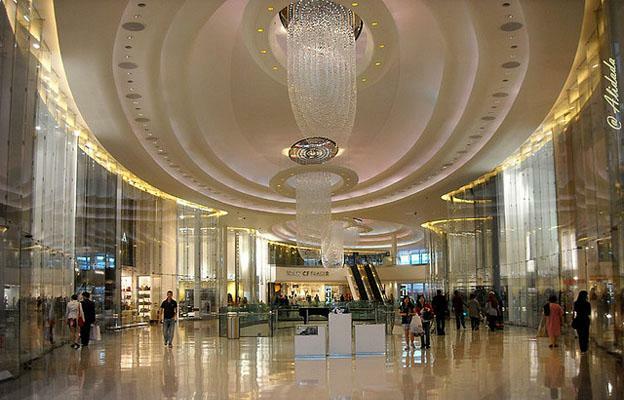 It opened very recently in September 2011 and is one of the largest shopping centres in Europe. Built cunningly adjacent to the site of London’s Olympic Park, the centre has already started to contribute significantly to the economy of the area, not to mention that it’s offered thousands of much-needed jobs to unemployed Londoners. Perhaps most famous for using Pavegen floor tiles, the centre is the first large scale use of this incredible flooring which harnesses the kinetic energy of footfall to generate electricity. The centre is anchored by a massive John Lewis department store (occupying 240,000 square feet, no less!) which contains pretty much everything you could possibly need. The centre boasts a 14 screen cinema, two hotels and approximately 300 stores and 70 restaurants. Try getting through that in one day! If you’re going to shop in style, you’ll want to sleep in style too!